Although we’re living in the digital age, it would be a mistake to undermine the power of offline marketing. Display advertisements aren’t going anywhere soon; they’re just evolving into more sophisticated (and highly targeted) forms of outreach. The same goes for brick-and-mortar companies that neglect their online marketing. When it comes to striking a balance between online and offline advertisements, nothing beats having a sophisticated call tracking software. Split tests, otherwise known as A/B tests, are extremely useful in advertisement optimization. How else will you know whether your current strategy is the highest-converting method? The trick with split testing is to make sure that you only implement one or two big changes at a time. If your two advertisements are completely different from one another, you won’t be able to know which aspects to keep optimizing and which to get rid of. Phonexa helps you to perform split tests by tracking your leads’ every move and creating user-friendly comparison reports for you to access with ease. All marketers know that the key to generating more conversions is to not only draw in new users but to re-engage the ones you already have. Phonexa’s automated system allows you to contact your buyers via email or phone during your retargeting campaigns. Your interaction with these repeated customers will be personal and data-driven, allowing you to peek in these conversations and make the proper adjustments for future campaigns. Have you ever wondered whether your keywords were working? We’re not just talking about PPC ads, but also the keywords in your vanity phone numbers, click-to-call advertisements, call-to-actions, billboard ads, and other offline display advertisements. Any marketing method that you have involving writing can be tracked with Phonexa’s call tracking software. With the knowledge of what works and what doesn’t, you can laser target your audience to generate more conversions. It’s highly important that you understand your audience demographic well enough to make these keyword changes. Don’t waste your split test on random keywords; rather, use Phonexa’s platform to study your audience’s interests and engage them with a relevant and irresistible ad. Customer targeting is usually not an easy task to undertake, but with Phonexa’s proprietary call tracking solution to lead the way, you’ve got nothing to worry about! Customer targeting can be achieved by our advanced call tracking, which displays detailed caller demographics for you to analyze on an interactive dashboard. 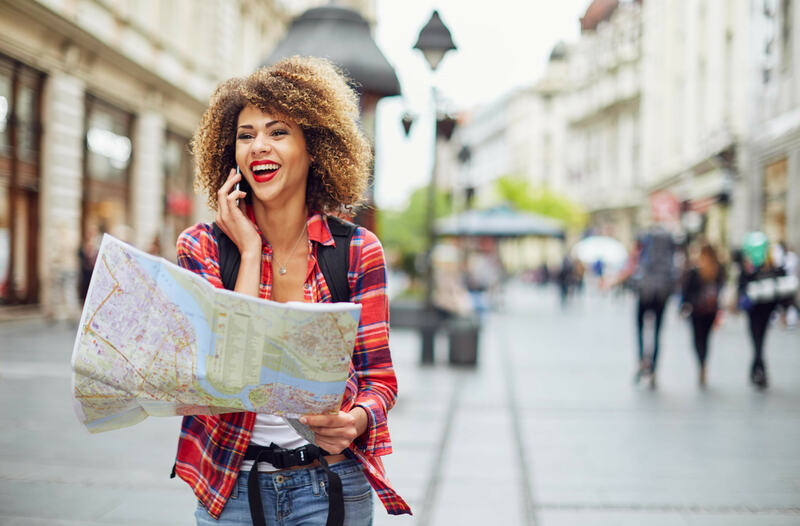 With Phonexa’s call tracking, you’ll receive in-depth caller information that will be helpful to your marketing campaigns. You can attain these details through a combination of location tracking and an IVR questionnaire, which you can customize according to your business needs. With detailed audience demographics at hand, you will reel in more engaged and sales-ready clients than before! About 45% of calls to businesses come directly from mobile searches, so if you haven’t implemented click-to-call yet, it’s a great time to try it out with our platform. The same study tells us that calls have an incredibly high conversion rate of 30-50%, while clicks only generate around 1-2% of conversions. Of course, this is highly dependent on the type of industry you’re in, but there’s no denying the importance of calls in this smartphone era. People want to be serviced in a personal and professional way, so it’s important for businesses to provide this kind of service with one of the most cost-efficient methods available: through a cloud call platform. The next time you try to get your customers to convert, make sure you’re targeting the right audience using advertisements that are optimized for them. Phonexa will help boost your customer journey from start to finish, so you will never be left in the dark. To get a glimpse inside our proprietary platform, request a demo today!